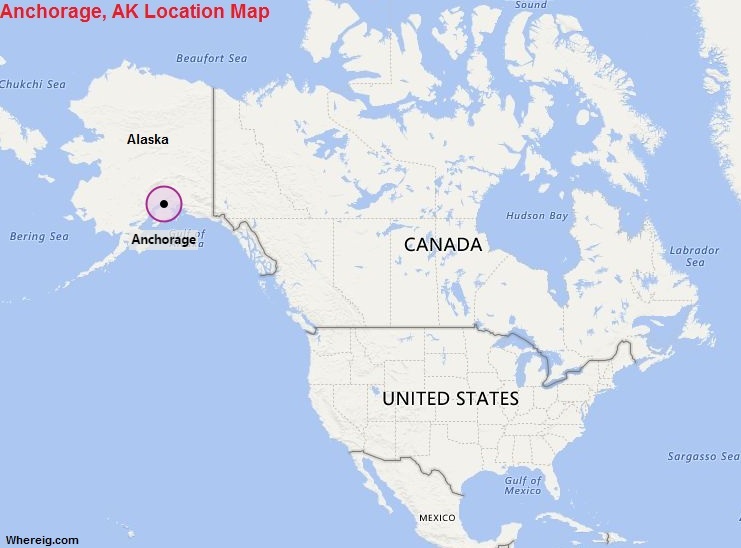 About Map: Map showing the Location of Anchorage in the US. Anchorage is located in the south-central portion of Alaska at the terminus of the Cook Inlet on a peninsula formed by the Knik Arm to the north and the Turnagain Arm to the south. It is located 61.22 latitude and -149.90 longitud.